The first post on this blog was made three years ago on the 16th of August 2008. At that time, I marvelled that "No-one has tooted a horn aggressively at me, no-one has driven their car at me, no-one has shouted at me in the street in an aggressive way." We've now lived here for four years, and this remains very nearly true. Unfortunately, I had one very minor tooting incident earlier this year - just enough to remind me that The Netherlands isn't perfect. 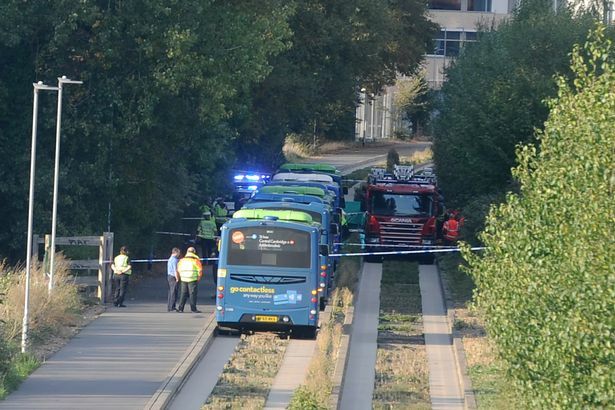 However, that such incidents are so rare as only one in the four years we've lived here remains a very good part of why it is that the Dutch find cycling to be a pleasant experience, and why people here cycle as much as they do. Anatomy of reliable everyday bicycle - A practical bicycle is needed if you rely on it every day. What makes a "Dutch bicycle" so practical ? Three types of safety - Subjective and Social safety are more important than actual safety if people are to be encouraged to cycle. 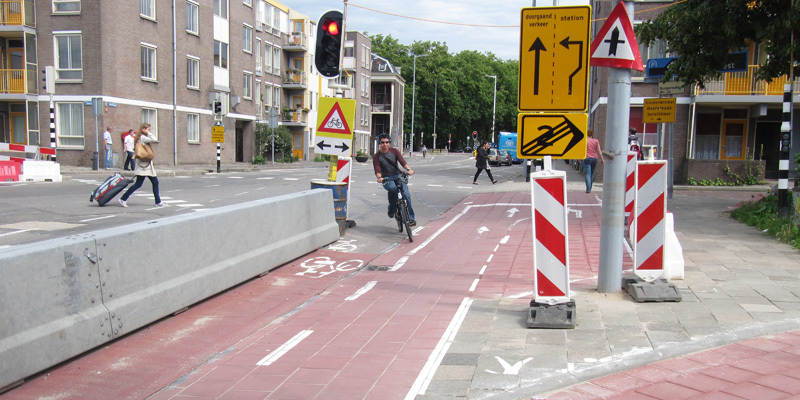 However, these things come together, and the Netherlands is also the safest place in the world to cycle. Directness - highlighting the importance of cyclists being able to make convenient journeys. If cycling is inconvenient it won't be popular. The truth about Copenhagen - some people didn't like this. Sorry, but I don't like exaggeration and hype. Sinner Mango - a lot of people seem to like this bike. So do I.
Stairs are dangerous - wear a helmet - Many things are more dangerous than cycling. Climbing stairs is just one of them. Scaremongering does not help to encourage people to cycle. Stopping ban by schools - It's simply not necessary for cars to be able to stop by schools, especially at times of day when they put children at risk. There are lots of stories about school travel. Oh London you really need to try harder than this - one of several on London. World's safest roads - Dutch and British roads vie for the position of the safest in the world, but the way the safety levels have been achieved couldn't be more different, and for cyclists and pedestrians this is a very important difference. State of the Art bikeway design, or is it? - Criticism of American infrastructure design, self described as "state of the art". When Cyclists Matter - Car crash and public response in 's-Hertogenbosch - it's a bit different here from many other places. 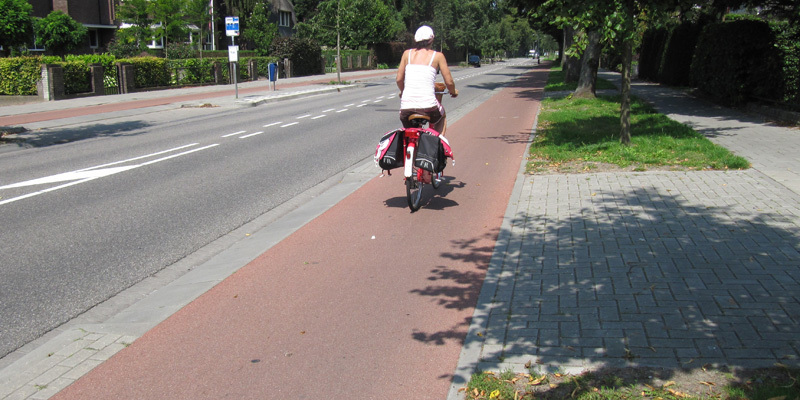 All those myths and excuses in one post - things that people think are the reasons while cycling is popular in the Netherlands but not in their own countries. 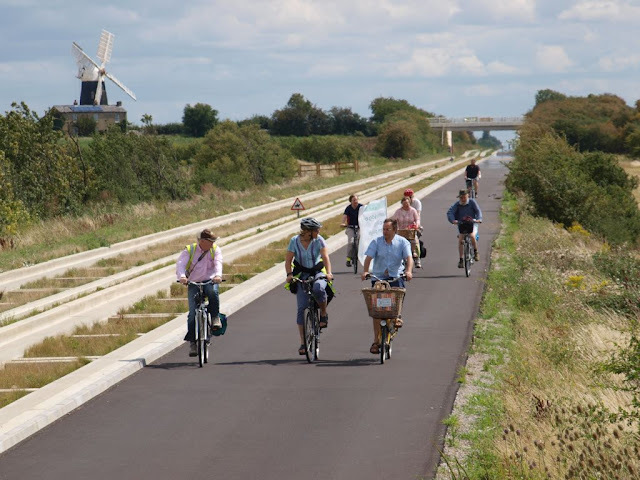 How Groningen grew to be the world's number one cycling city - one of many posts about Groningen. Reality vs. 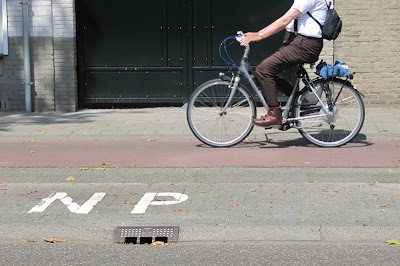 Myth: The "dangers" of Dutch cycle paths - Despite the statistics showing them to be very safe, some people try very hard to make our that there are greater dangers than really exist. 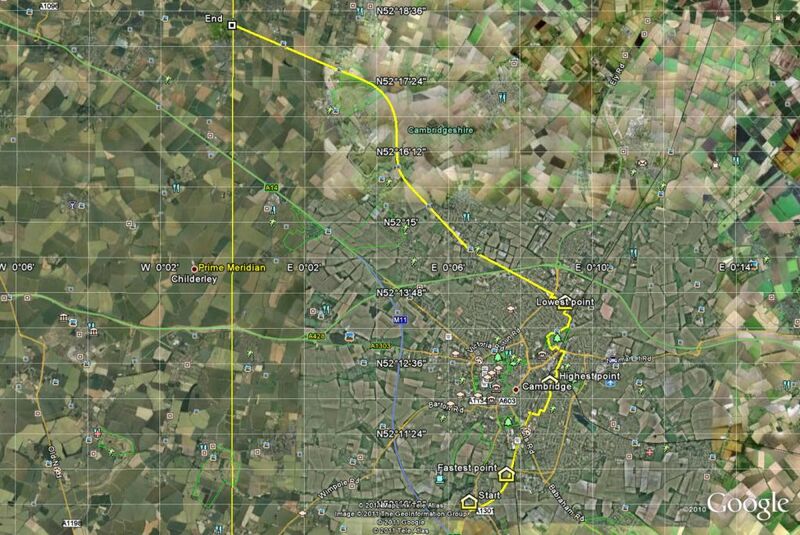 Inter-city bicycle superhighways for long distance commuters - one of several posts on this subject. The web pages showing differences between otherwise similar British and Dutch streets and how Assen has changed over the years had enough hits to made the list, but they weren't blog post. Mark didn't get a penny from any of the TV companies who used his video. I get about €20 per year from the advertising on the blog. This is the result of many thousands of hours of work by both of us, free for you to read. Those who in the past have complained about the advertising, and those who've asked me for hundreds of Euros to use a photo they've taken of me when racing (an offer which, naturally, I turned down), might like to consider this. Writing this stuff is hardly a license to print money. Please don't be too surprised that we use the blog occasionally to advertise our businesses, Dutch Bike Bits and Hembrow Cycling Holidays. While writing the blog is enjoyable, we do have to make a living. The design proposed in this guest blog post is not the safest possible. 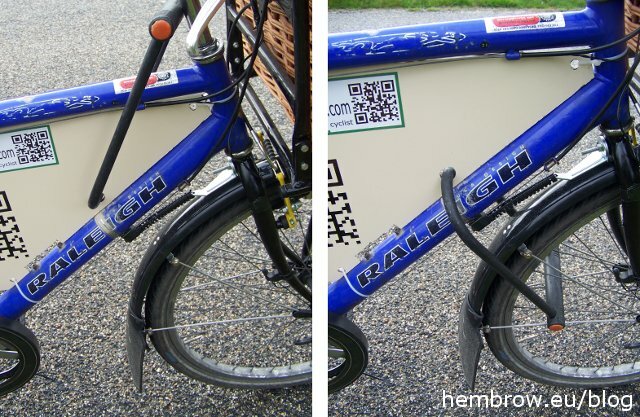 In fact, the design promoted in this post is known to be responsible for dozens of injuries each year in the Netherlands. 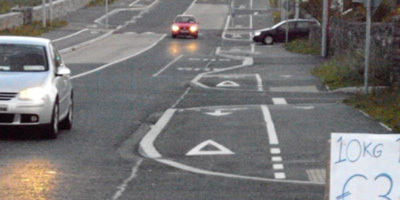 This design causes seven times so many injuries as the best Dutch roundabout designs. 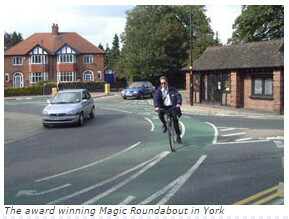 Please see a later blog post which shows the safest roundabout design for cyclists. 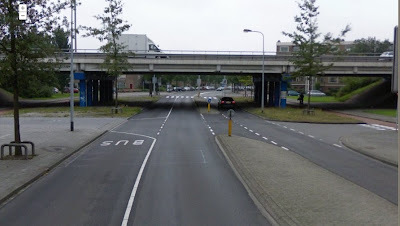 A view at one of the more recently built roundabouts in the city of 's-Hertogenbosch in the South of the Netherlands. This roundabout came in the place of an ordinary four arm junction with traffic lights. When the city announced that the junction would be changed into a roundabout people had a hard time believing this would be possible at all. They thought there would not be enough space. But it proved to be very possible indeed. Traffic now flows very smoothly. 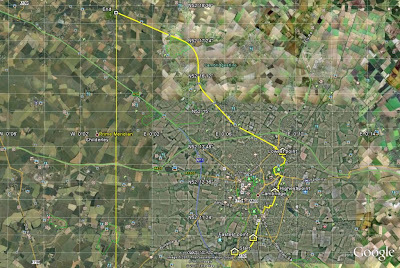 Interestingly enough Google Maps shows the before situation, but once you start StreetView it shows the current situation. 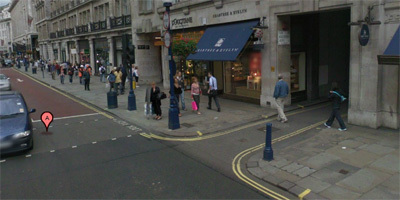 Before: a junction with traffic lights and separate cycle paths. After: roundabout with separate cycle paths, the lights were removed. 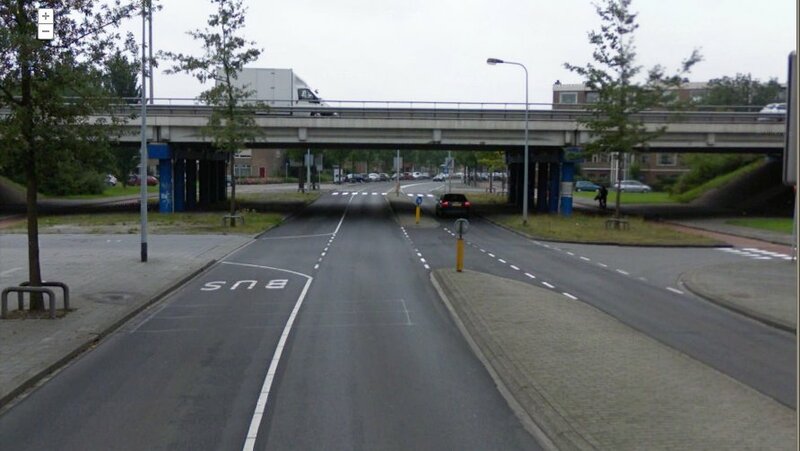 Note that this roundabout design is responsible for dozens of injuries per year in the Netherlands. The waiting times for all traffic decreased at this particular junction. So it proved to be a good decision to change the junction into a roundabout. 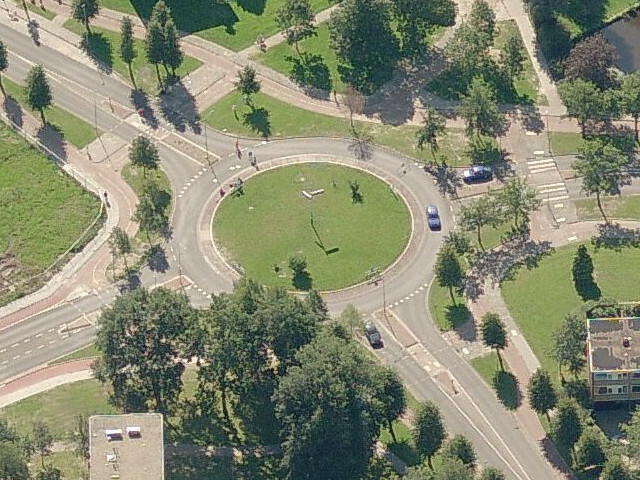 I have showed you another roundabout in 's-Hertogenbosch in an earlier post. 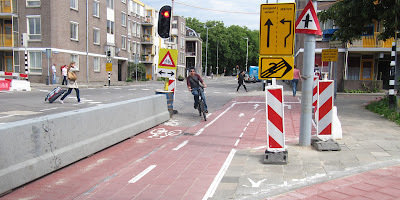 There the priority for cyclists on Dutch roundabouts is also explained. Update: It seems people are taking this design presented by a guest blogger as something to aim for. 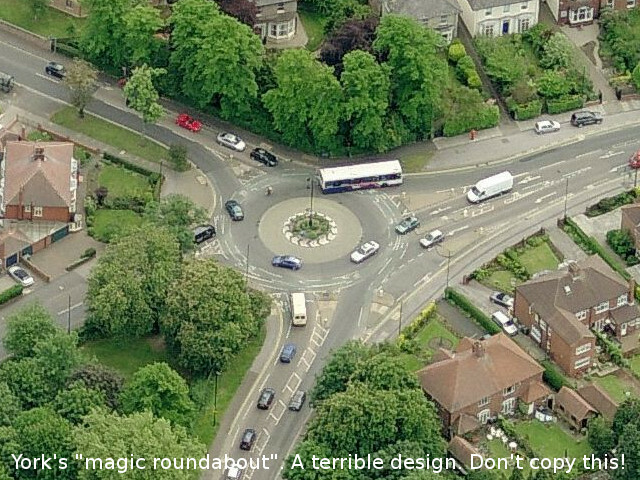 Please note that this is not the safest design of roundabout which is possible and we do not suggest copying the design shown in this blog post. The particular example shown here closely resembles a roundabout in Groningen to which we take people on study tours in order to see how NOT to design a roundabout. This relies too much on drivers being perfectly behaved. and on cyclists having eyes on the back of their heads. 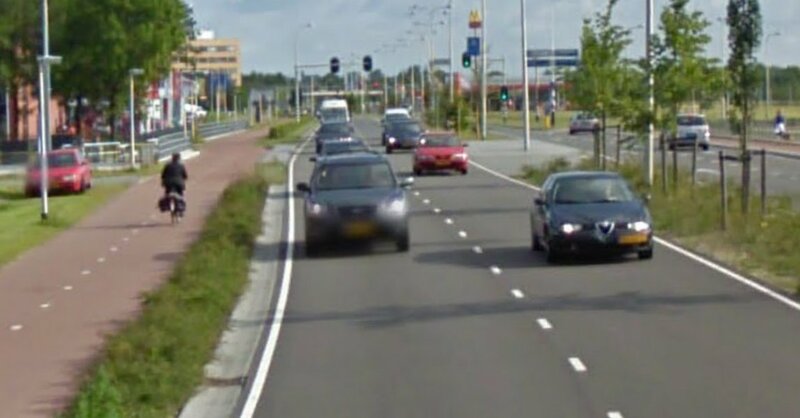 Other posts on this blog show safer roundabout designs where cyclists either don't interact at all with cars on the roundabout or where they give way on those arms where there are interactions. These other roundabouts provide a better example for other nations to follow. Paul van Bellen, who organised the Australian study tour earlier in the year, made this video on his last day in Amsterdam. 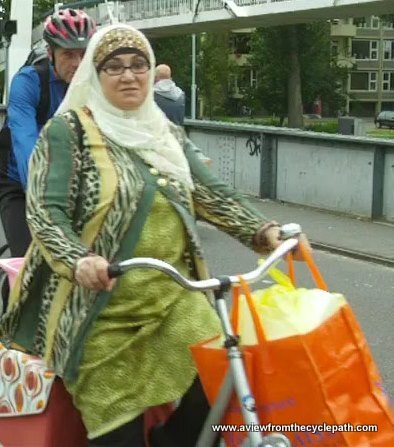 Dutch people typically can't see a need to wear a helmet for everyday cycling. 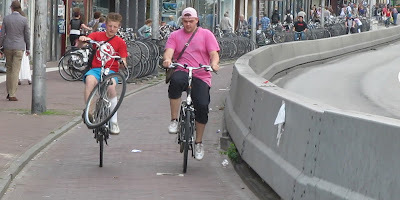 Cycling is seen as an inherently safe activity and the whole population takes part every day. Cycling is not associated with danger. It shouldn't be, because even here where people cycle so much, cycling is not nearly the most risky activity that most people are involved with on a daily basis. The fact is that in this country, where there are more cyclists than any other and where cycling is common amongst a wider demographic than any other country (which means it includes more of those who are more vulnerable. i.e. the very old and the very young), the average person can expect to live several thousand lifetimes between fatal head injuries while cycling. i.e. other causes of death are thousands of times more significant than are head injuries while cycling. If you're thinking of campaigning for helmets, keep these facts in mind. It's not cycling which is dangerous, it is the motor car. If you live in a country where cycling is more dangerous than it is here (and that's every country outside of the Netherlands) and you wish to make cycling safer, then you should address the danger at source, following best practice from the Netherlands. That will achieve far greater health benefits for your population than will imposing rules which will make cycling less popular and thereby undoing many of the great health benefits which come due to cycling. Rather than looking at this in a one-dimensional way and missing the big picture altogether, doctors in the Netherlands take a rational approach. They prescribe cycling to keep people healthy because the huge benefits outweigh the small risks. 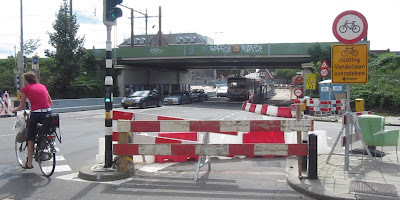 This is one of the very first photos of infrastructure which I took in the Netherlands, back in 2001. Coming from the UK, I was amazed at the allocation of space under the bridge. Two arches are for bikes and pedestrians, only the arch in the middle is for cars. 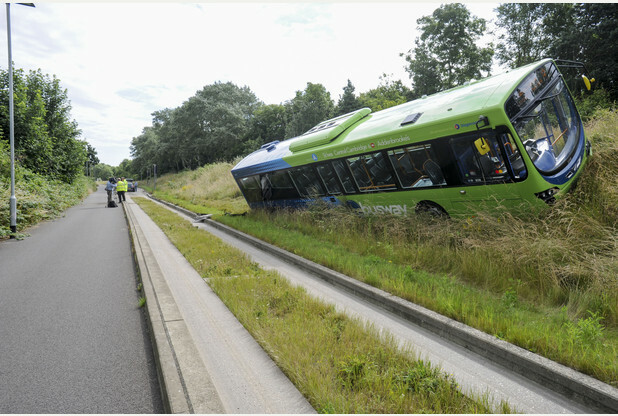 I used that photo in a recent article for the Cycling Embassy of Great Britain, and it made me think of other examples. It's not rare that cyclists are treated well under and over bridges in the Netherlands. 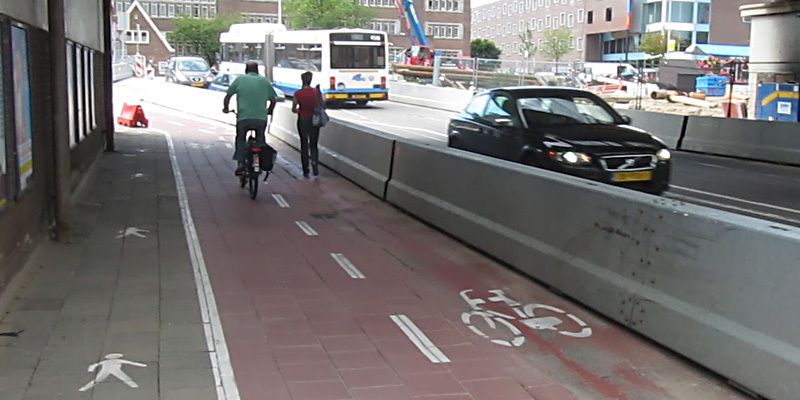 Sometimes there isn't a lot of space, but the need to keep cyclists safe isn't ignored. A few km north of here on a road connecting a village to a small town. 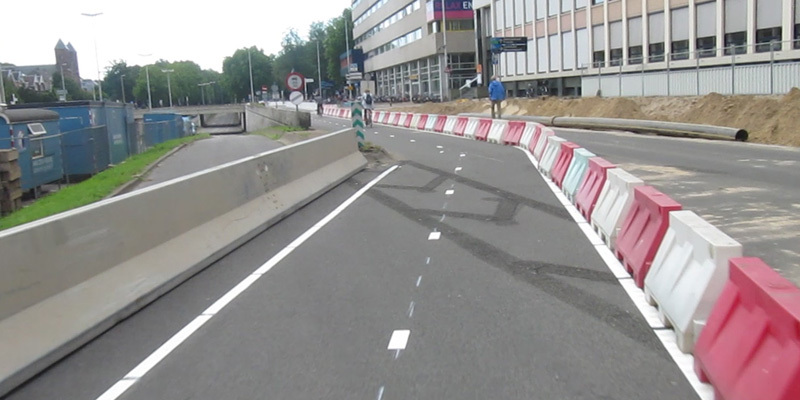 Drivers have to negotiate a gap big enough for just one car at a time, while cyclists have a bidirectional cyclepath. 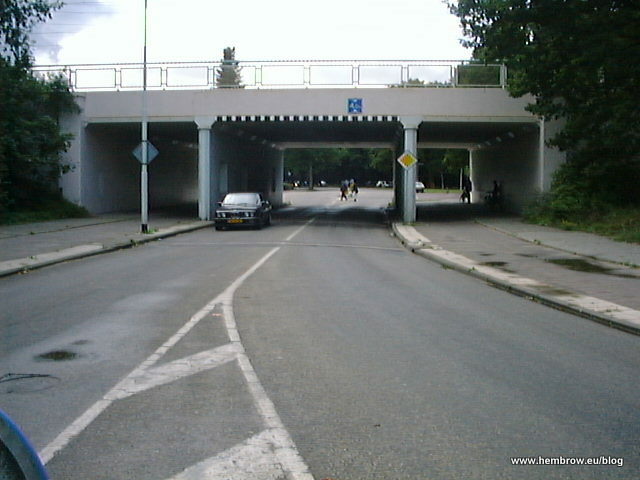 A main route into Groningen passes under a motorway. 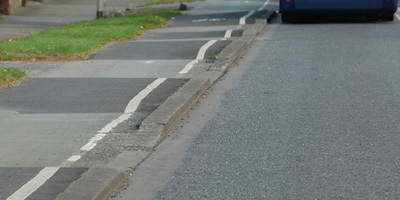 Here the cycle paths on both sides of the road are well apart from the motor vehicles. This example appeared in a recent post about noise, but it is also an example of where a cycle path is well separated from a road under a bridge. Another recent photo from a holiday a couple of weeks ago. 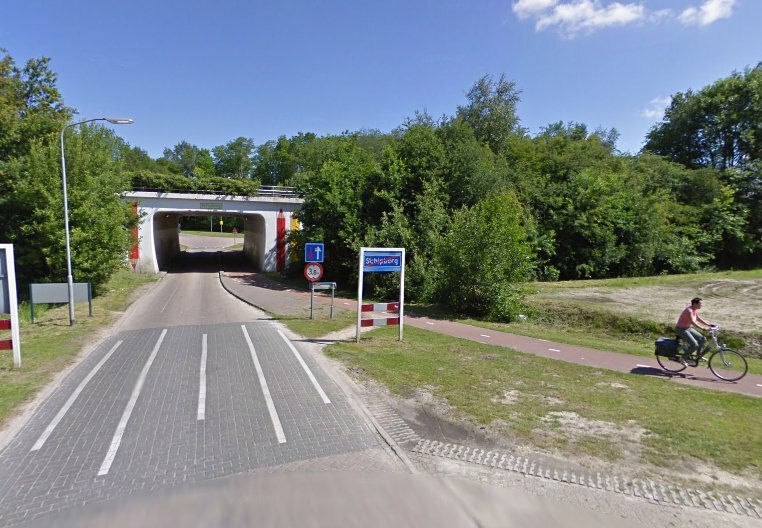 On this bridge in a small fishing village near the coast motorists have to negotiate for the one car width space on the road while cyclists have a degree of separation. I found the existing way over this bridge, a narrow service road to the left of the main lanes, safe enough when I rode across there a few years ago. However it wasn't considered to be good enough and therefore a new separate cycle bridge was built alongside the main bridge. There's nothing unusual or difficult about this. Bridges don't have to cause problems for cyclists whether they're going over or under a bridge. 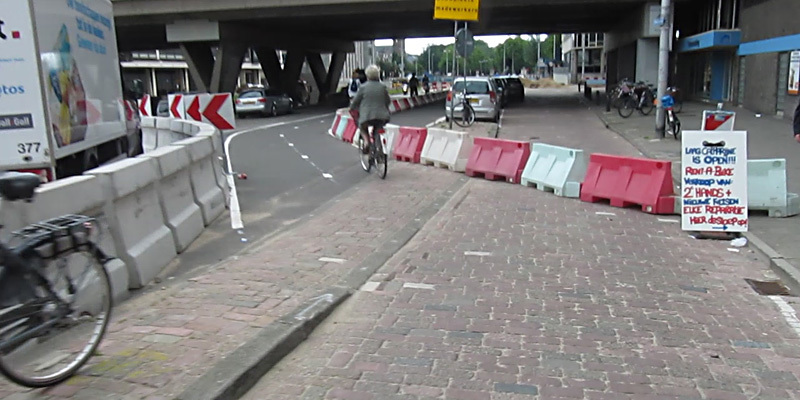 Any bridge, or any other point, which causes a problem and makes people feel unsafe forms another small barrier to cycling. This reduction in subjective safety causes a slight reduction in the number of people who are willing to cycle. 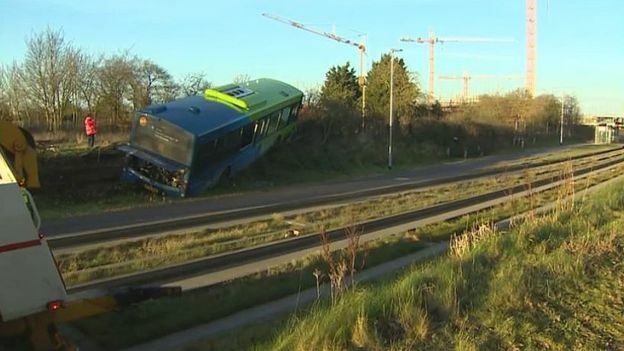 Lots of bad examples add up so that the majority would eventually not feel safe cycling anywhere, because the chance of coming across such a thing is great. So what's going on in London ? Why is one bridge, Blackfriars, causing such an enormous amount of trouble. Why are Transport for London planning to make conditions worse for cyclists on this bridge when the city is in theory trying to encourage people to cycle ? Why are so many people having to protest about it in order to try to prevent this degradation of standards ? 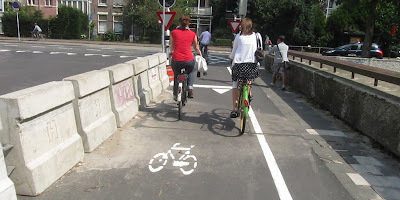 For most people considering cycling, a bridge which doesn't feel safe to cross by bike may as well not exist at all. This should be in the minds of planners at all times. It's not impossible to do. It's not difficult to do. 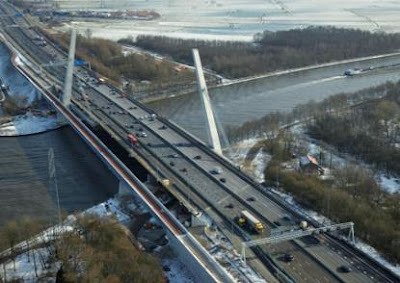 The Netherlands provides examples across the whole country, at junctions large and small, with high and low volumes of traffic. Many London bloggers have written about this issue. They're quite rightly outraged. You can find in-depth Blackfriars coverage, here, here, here, here, here, and here. 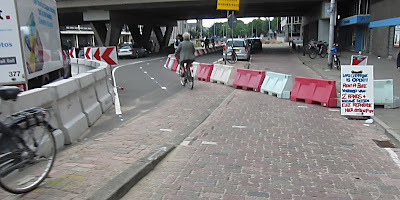 Also in my later post about the problems at Blackfriars, including a Dutch example.